Days after signing on to star as Supreme Court Justice and women’s rights advocate Ruth Bader Ginsburg, Natalie Portman continues her circuit of playing iconic women by taking on the role of Jackie Kennedy in Jackie. The film—helmed by Chilean director Pablo Larrain (Post Mortem, Tony Manero, No)—will follow the first four days in Kennedy’s life after the assassination of President John F. Kennedy. 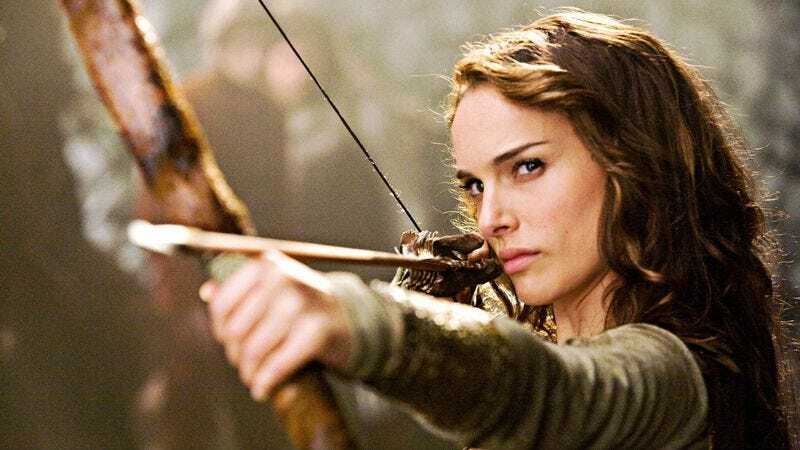 Portman has reportedly been circling the role for a while, and Darren Aronofsky, who directed Portman in Black Swan, has signed on to produce. That’s all the information we have about Jackie at this point, but we can presumably look forward to the one-sheet of Natalie Portman wearing Kennedy’s infamous blood-stained pink suit following the assassination—because, as Larrain will no doubt learn, Hollywood is less subtle than the Chilean film business.